Firmfit vinyl plank flooring is specially designed to look and feel exactly like wood yet provide you with better waterproofing and resilience. Its high-density limestone-based core makes it 3 times more rigid than standard luxury vinyl tiles. 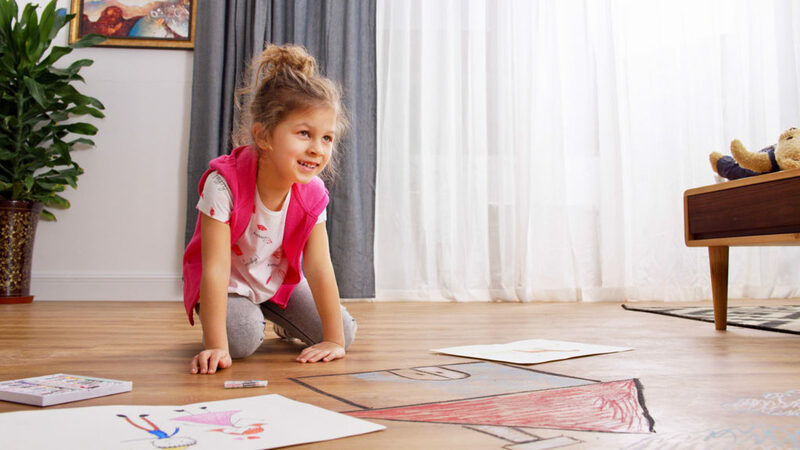 The great thing about Firmfit is that traditionally, vinyl flooring is not intended for rooms with large windows or rooms that get a lot of sunlight. Firmfit, however, has no such restriction. It will retain its finish and color even in rooms that get glaring sunlight throughout the day. It’s durable and easy to maintain, needing little more than a quick sweep with a broom every now and then, and spills are quick and easy to wipe clean. If you want your kids’ memories to be full of sun and fun without any difficult to clean aftermath, Firmfit is the ideal choice. check out Firmfit’s website. Novocore flooring also has an extremely lifelike finish that looks and feels just like hardwood flooring yet offers a great combination of resilience and ease of fit. Novocore has a highly textured outer layer for a realistic finish above a layer of high-density vinyl and a back layer of hypoallergenic cork backing for an extra soft feel underfoot and better soundproofing. We all know how heavy-footed kids can get, and the soundproof backing will ensure that the rest of the family can relax after the kids have gone to bed without it sounding like a herd of elephants are trampling across your ceiling. Novocore also have a string focus on sustainability, making them appealing to environmentally conscious customers. Check out their website here. 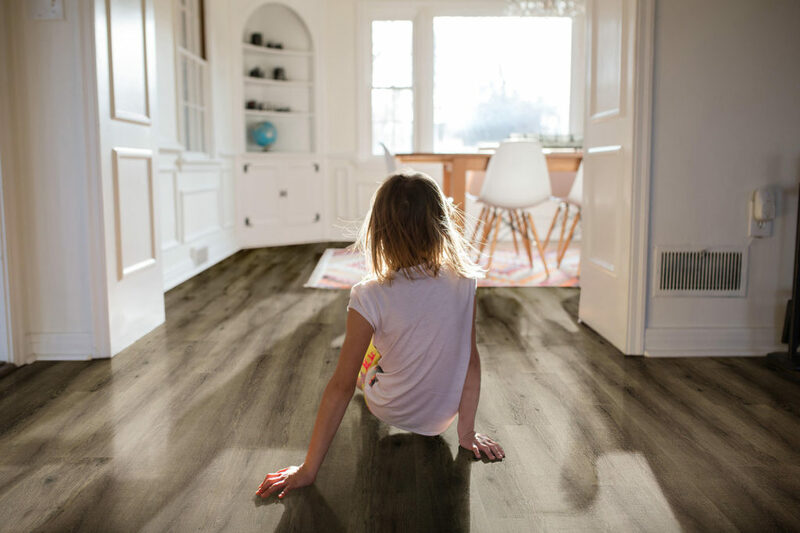 Finally, Audacity offer a highly realistic vinyl product with a seamless plank-like finish, yet with outstanding waterproofing and stain resistance so that you need never worry about spills or stains. It is highly water and impact resistant and designed to be easy to clean and maintain. With a wide range of designs, all featuring an embossed “in-register” surface for a realistic feel, Audacity is a great all-rounder. Check out their website. Whichever of these brands you choose, you can get the peace of mind that comes from knowing that your vinyl flooring will look great for years to come.